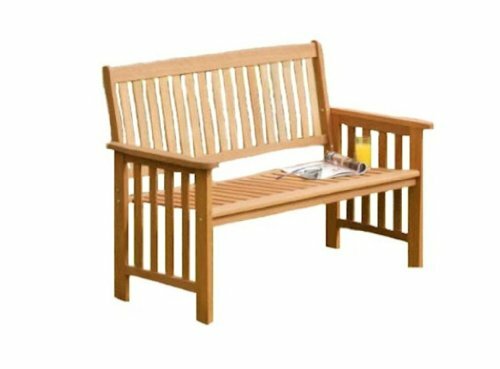 Camillion 2 Seat Bench. Floor to Seat Size: 42cm (16.54in). Seat to Armrest Size: 22cm (8.66in). Armrest to top of Bench Size: 28cm (11.02in). Mixed Hardwood. Back & Seat: 11 x 30mm (1.2in) Slats.